Dynamite Entertainment’s Artist Carlos Paul, who also happens to be Alex Nascimento’s teacher, is the penciler of the Rage Compilation 2 Cover! When Alex Nascimento told me Carlos wanted to do a Rage cover, I immediately said “Yes”. At first, the image was planned to be a Rage Cover. 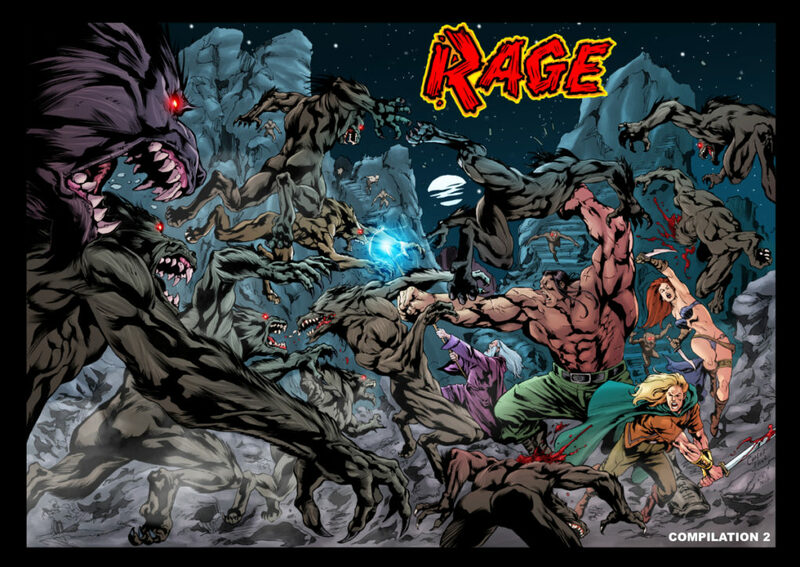 Then, it became a double-page spread, so I thought about making it a Rage Compilation cover. And then I saw it finished, with inks by Alex Nascimento, and colors by Dijjo Lima, and I just had to make it a poster too! And of course, I had to make it the first in a line of Rage Posters! Which means you can expect more high profile artists like Carlos to work on Rage images!